Colorado wouldn’t be the state it is today without the remarkable contributions of women. And, across the United States, women have benefitted from the pioneering spirit of their counterparts here in the Centennial State. In honor of Women’s Equality Day on August 26, here are some fun facts about how Colorado has helped shape gender equality in the U.S. and the women who’ve blazed the trail for so many others. 1. Colorado was the first state to secure votes for women by popular vote, in 1893. 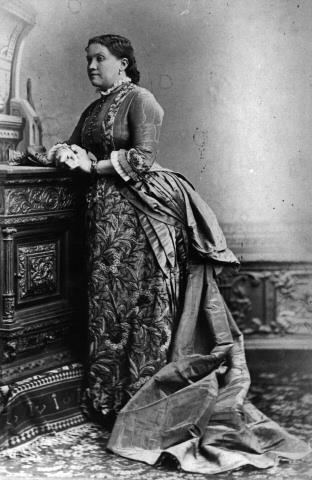 The first woman who registered to vote in Colorado was our state’s first first lady, Eliza Pickrell Routt, wife of the state's first governor. She’d served as president of the City League of Denver branch of the Non-Partisan Suffrage Association of Colorado. As first lady, she helped establish the “Old Ladies Home” and helped obtain a building for the Women’s Home Club, where young women lived (it later become the YWCA). Routt was the first woman to serve on the Colorado State Board of Agriculture—the governing body of Colorado State Agricultural College, which became Colorado State University. There she helped women gain access to higher education and established the first professorship for a female instructor. 2. In 1894, when women first voted in a statewide election, the first women to serve in any state legislature were elected to the Colorado House of Representatives. At only 32 years old, Clara Cressingham was the youngest of the three elected. Cressingham also became the first woman to fill a leadership position (Secretary of the House Republican Caucus) and to have a bill she introduced become law (it boosted the state’s budding sugar beet industry). Another bill she introduced addressed the creation of a system of free schools. 3. Another of the three women elected in 1894 was Carrie Holly, the only one of the three who’d been active in the suffrage movement. A bill of hers—the first bill sponsored by a woman—raised the age of consent from 16 to 18; it eventually passed. She also helped pass a bill giving mothers the same rights to their children as fathers, and, with the other women, a bill to create homes for delinquent girls. 4. The third woman elected in 1894 was Frances Klock, the first woman to chair a committee (Indian and Veteran Affairs) and to preside over a state legislature. Klock protested some of the norms in the House, including offensive language used on the floor during debate, lobbyists on the floor, and smoking in the chamber. She introduced legislation establishing a constitutional amendment for suffrage and elections. 5. The first female self-made millionaire in the U.S. got her start in Denver. Sarah Breedlove—better known as Madam C. J. Walker—became one of the wealthiest African American women in the country and one of the most successful African American business owners ever. In 1905, she moved to Denver, where she started earning her fortune by developing an innovative hair-care business and product line that saw major sales through its mail-order operations. She relocated a few years later, traveling extensively to promote and expand her business. 6. In 1985, Polly Baca became the first Hispanic woman to serve in leadership in any state Senate when she was elected chair of the Senate Democratic Caucus. She was also the first woman of color to serve in the Colorado State Senate. Baca sponsored legislation to provide a portion of military pension benefits to military wives even after a divorce, and when it wasn’t approved by the state legislature, she influenced Rep. Patricia Schroeder to sponsor the bill at the national level; Congress passed it. 7. The first female U.S. Secretary of State, Madeleine Jana Korbel Albright, came of age in Denver. As a teenager, she founded Kent Denver School’s first international relations club. As a young adult she worked as an intern for The Denver Post. 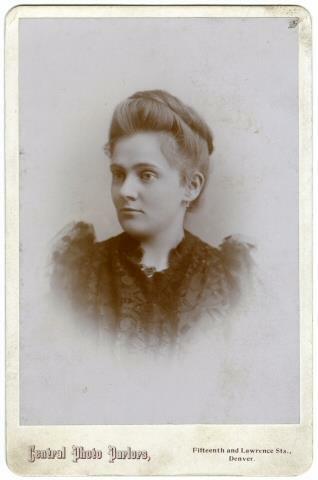 After obtaining political asylum in the U.S., her father, Josef Korbel, had obtained a staff position in the political science department at the University of Denver, where he later became dean of the school of international relations and taught future U.S. Secretary of State Condoleezza Rice. Denver-based author Kali Fajardo-Anstine will continue research for her novel exploring the lives of mixed-race Latina women in the early American West. Kelly Rogers Denzler will research and produce a number of first-person narrative audio tours of the Byers-Evans House from the perspective of women from Colorado history. Natalia Zreliak will conduct a video oral-history project to mark the 120th anniversary of the Denver Woman’s Press Club. You can meet these fellows when we celebrate Women’s Equality Day at the Center on August 26th. We hope you’ll join us! We are connecting local stories to the broader stories of women's history worldwide.